A study conducted at Dundee University in London suggests that babies transported in forward-facing buggies are more likely to suffer emotional stress due to lack of face-to-face time with their parents. “Neuroscience has helped us to learn how important social interaction during the early years is for children’s brain development,” said Suzanne Zeedyk of the university’s School of Psychology. 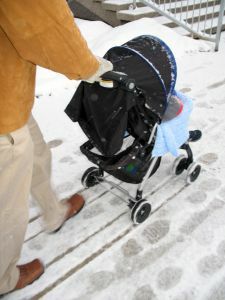 Specifically, the study found that 25 percent of parents using face-to-face buggies spoke to their baby, while only 12.5 percent of parents using forward-facing buggies did. In addition, the heart rate was lower in babies riding in face-to-face buggies, and these babies were more likely to fall asleep. “Parents deserve to be able to make informed choices as to how to best promote their children’s emotional, physical, and neurological development,” Zeedyk said. In Britain, forward-facing buggies are more common. Nearly 3,000 parent-infant pairs took part in this study. 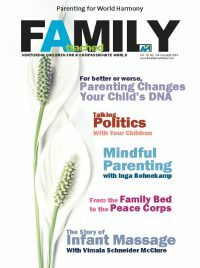 To read the entire article, go to http://news.yahoo.com/s/afp/20081121/wl_uk_afp/lifestylehealthbritainchildren_081121142138.